You are at:Home»Posts Tagged "Sipho Maseko"
Telkom sees an acquisition as one way to grow its mobile phone business as the former landline monopoly looks to boost profit and attract higher-paying customers. Telkom could switch off its 2G network in the next 12 months as the number of legacy handsets on its mobile infrastructure dwindles. 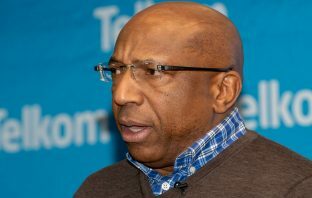 Telkom Group CEO Sipho Maseko has warned that data prices might not come down if South Africa chooses an auction as the model for licensing so-called “high-demand” spectrum. Regulators should lend more support to smaller mobile operators to help them break the dominance of Vodacom and MTN, Telkom CEO Sipho Maseko told the Competition Commission on Thursday. The Internet Service Providers’ Association (Ispa) on Thursday slammed communications regulator Icasa’s new call termination rate regime, saying it favours the industry’s larger players. Telkom said on Wednesday that it is disappointed with communications regulator Icasa’s final call termination regulations and warned they could have an impact on its operations. Communications regulator Icasa has amended its call termination regulations, the rules that govern how much operators may charge each other to carry calls between their networks. Telkom will embark on a fresh round of staff reductions to cut costs. The company on Thursday said it will offer voluntary separation and early retirement packages to employees beginning on Friday, 14 September. Telkom CEO Sipho Maseko has urged policymakers to “anticipate what the problems will be in 2025” and to look at regulation holistically instead of dealing with each on a standalone basis. 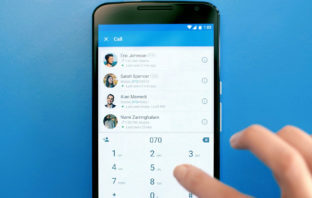 Telkom CEO Sipho Maseko on Monday warned that Icasa’s draft regulations on call termination rates could force the operator into a very difficult position, with the potential that it could ultimately withdraw from providing services in rural areas.